ColdFusion has an inbuilt function for encoding URL vars. URLEncodedFormat – which does the job well, but it does not follow the RFC 3986 , the Internet standards document that describes the encoding of URLs, very strictly. This does not cause problems 98% of the times but I recently found out while working with some API’s that require signed signatures to be sent in order to authenticate the API request e.g. Amazon Web Services, that it does indeed cause some problems. Your signature will not match with the signature on the other end. So, it looks like Java encoding is a bit better but it still needs to have the “~” character replaced back from “%7E” to “~”. Hi James, I don’t think it messes up form posted variables. I mean, it wouldn’t make a difference at all if you were URL encoding in ColdFusion and decoding in ColdFusion as well. The only time it matters is when you sign a signature in ColdFusion and send that as a parameter to a third party API and normally they would be creating the same signature their end using the parameters passed and that’s when the signatures don’t match because of the irregularity in URLEncodedFormat()..
Good post, Anuj, looks like java has the same issue, why encoding with java lib and you still have to decode? 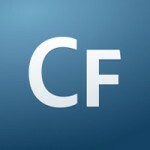 Hi Philip, I’ve updated the post with an example of the encoding with CF and Java. Thanks Anuj, it makes sense and I am bit disappointed as even in Java, we have to replace few bits. which language is perfect, is it .NET? Consider adding ‘all’ to the replaces. I found that only every other space/+ was changed to %20. Jules – I ran into the same thing today. As far as I can tell this is because the CF11 introduced “member functions” which means that in CF11 and upwards “.replace” refers to ColdFusion’s replace, whereas prior to CF11 it would have been calling not java.lang.String.replace on the underlying java object. Bit of a trap!